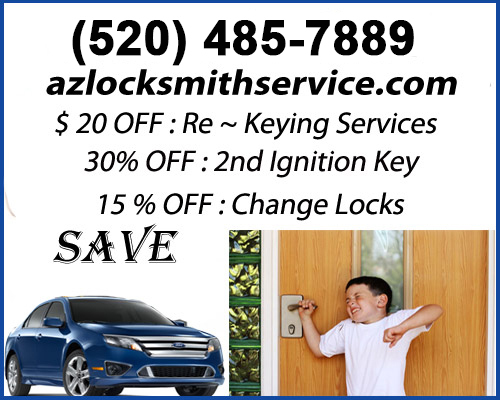 If you need assistance with your ignition key, contact your local and reliable car locksmith service provider. Check that your car locksmith technicians are legally licensed, bonded and insured. You should be able to contact them anytime night or day. They should be available 24 hours a day, 7 days a week, 365 days a year. Ignition keys are modeled with signal-emitting chips which make it very tough for thieves stealing cars and other automobiles. The shaft of the key consists of a tiny black module entrenched in it with contacts on both sides of the key. If you insert the key in the ignition, one of the precision resistors will become part of a simple circuit involving three other resistors. If the key does not have a resistor or if the resistor has the wrong value, a part of the circuit of the car's electrical system will prevent the car from starting. The transponder based immobilizer key is one of the best technologies against car theft. Inside the head of the chip car keys is a radio frequency "chip" which will signal and transmit a unique digital code meant for the car. The car will be programmed to recognize the codes of the key. This mechanism has been placed inside the car as a way to shut down the engine if a wrong chip key is used to start the car. This technology is proven in many ways to protect your car against theft by lock code manipulation. If you have a broken ignition key, don't panic. Expert car locksmith technicians can help you with any broken car key extraction. Defective manufacturing or wear and tear of car keys often causes car keys to break off and sometimes the tiny bits get stuck in the lock. If the key is not struck too far in, you will be able to extract it without calling a locksmith, but if tiny metal pieces happen to be still left inside the lock tumbler and if you are going to continue using your spare key for that lock you will do greater damage to the lock and the new key. This will lead to early breakdown of the locking system. Therefore, it is important to have your broken car key extracted professionally.